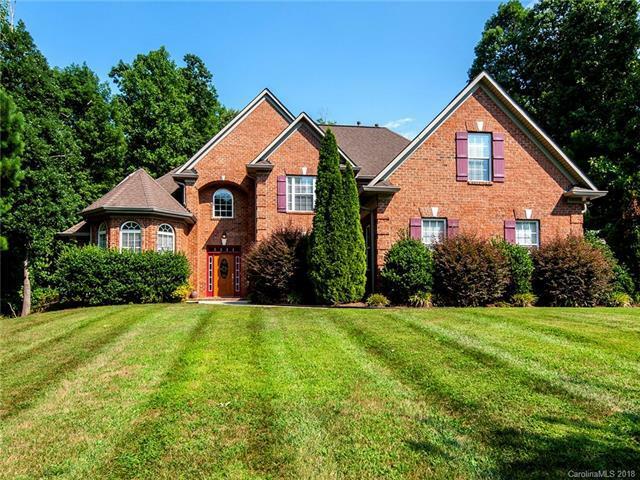 Come by and be amazed with this all brick home in Catawba Crest. This very private setting on one acre with fenced back yard and outdoor dining under the pergola will be the one you want! Master on main with additional bedroom on first floor. Open floor plan with large eat in kitchen and dining room. Keeping room gives additional family space. Upstairs has third bedroom with private bathroom and bonus room. Exceptional workmanship and custom finishes throughout home. 3 car garage and additional turn around space in driveway. Conveniently located to Charlotte, Gastonia, Clover & Rock Hill. Located in the award winning Clover School District . Come home to Lake Wylie !